Booking a holiday to Cuba? 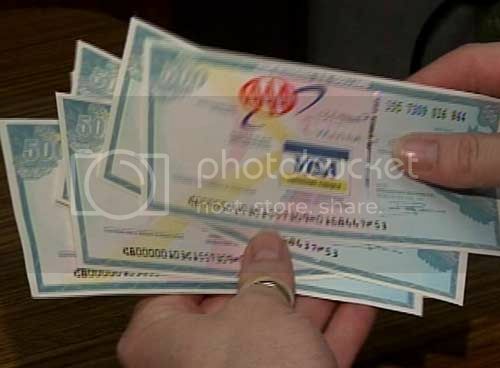 The good news about going to Cuba is that cash in euros (EUR), dollars (USD/CADUS), and British pounds (GBP) can be exchanged into CUC’s (Cuban Convertible Pesos) anywhere in Cuba. 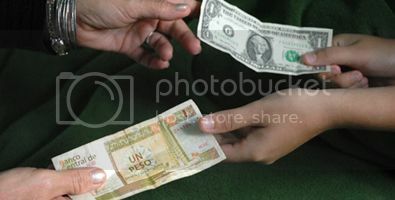 However, cash in US dollars isn’t really a good idea because of the 15% exchanged fee you’ll be charged per transaction! As far as credit/debit cards and traveler’s cheques, the general rule of thumb is that credit cards and traveler’s checks issued by European and Canadian banks will be accepted, though bear in mind that exchange fees can be as high as 20%. Debit cards won't work in Cuba! Don’t forget to also bring with you the proof of receipt for your traveler’s cheques because otherwise you won’t be able to use them in Cuba (presenting your passport won’t be sufficient). As a US citizen though one of the most important things not to forget when going to Cuba is that credit cards and traveler’s checks issued by US banks or Credit Union won’t be accepted in Cuba (i.e. American Express (AMEX) traveler’s checks, Visa MasterCard, etc). 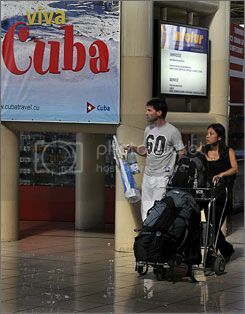 The Cuban government passed a new rule back in 2010 that means any tourist arriving in Cuba you must have travel insurance or they won’t be allowed to enter Cuba. Therefore, one of the things not to forget when going to Cuba is getting adequate travel insurance because without it you’ll be forced to buy travel insurance from one of Cuba’s approved travel insurers (which will be pricey). Double-check that your travel insurance covers you for every eventuality and emergency where you may need to be evacuated by air, or the Cuban authorities will deem your travel insurance "invalid". As soon as you arrive it’s a god idea to exchange some of your cash into CUCs at a bank, at a CADECA (Casas de Cambio SA), or hotel (though hotels are known to charge extortionate fees). Definitely, don’t ever exchange any money with other tourists or a Cuban citizen (even if it’s your friendly guide!) because that could land in a heap of trouble with the law. It's illegal to exchange money on the streets of Cuba, so don't be caught out. 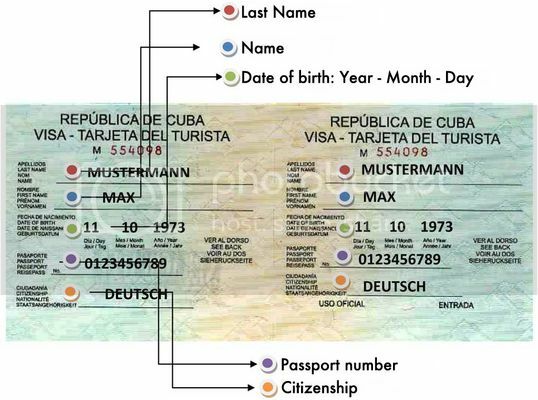 Everyone visiting Cuba will need two things: 1) a valid passport that isn’t expiring six month prior to your trip and 2) a tourist card (Cuban visa). Canadian citizens traveling on Air Canada (or any other Canadian carrier) have it easier than US citizens because the tourist visa is handed out to them on the plane while on the way to Cuba. If you’re a US or British citizen, you can get a tourist visa once you land in Cuba but this isn’t advisable because of long queues and to avoid extra hassle at the airport. It’s best you get your tourist visa before you go to Cuba from your nearest Cuban consulate, airport, or tour operator you’re booking your Cuba vacation with. Whatever you do, make sure you don’t lose the tourist visa or make any mistakes while filling it out because it’ll get rejected. You’ll be asked to fill out a new one and pay for it again! Just when you thought you knew all about Cuba, you arrive there and get a "little" shock to the system! Of course, Cuba is a wonderful country with some of the nicest people on earth but when you aren’t made aware how and why the way of life in Cuba is so difficult and different to home feelings of discontent always come up. Of course, not everyone owns a pink fluffy toilet back home but the thing to remember is that Cuba doesn't have many of our conveniences such as fast internet access, toilet paper in public toilets, electrical shops, and pharmacies where you can buy every-day toiletries and medicines. 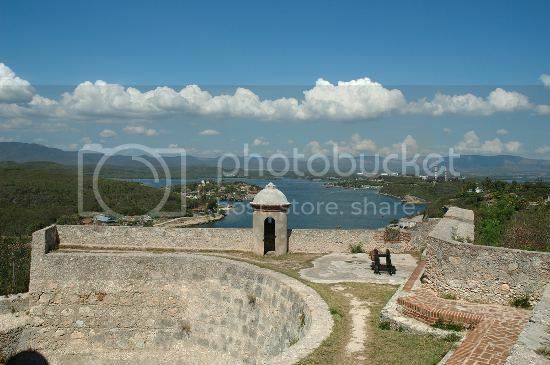 Luxury 5* hotels such as the ones in Varadero aren’t the only places to stay in Cuba. That's way considering staying in a casa particular is one of the things not to forget when going to Cuba because casa particulars will offer you a more rewarding experience in Cuba than being "cooked-up" inside a hotel resort. Most tour operators won’t make you aware of the existence of casas particulares in Cuba but they are basically private homes rented as accommodation to tourists. 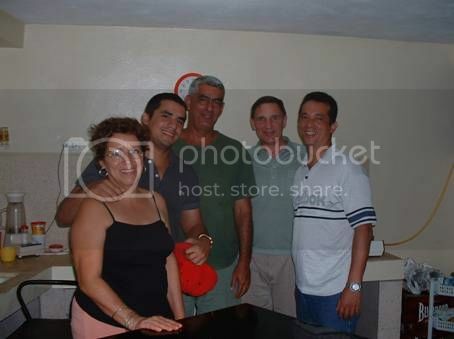 Casas particulares are essentially B&B’s in that you share the home with the owner and you get to soak in real Cuban life and support a Cuban family. You can book casas particulares all across Cuba but if you need more information you can check out the following websites: “Cuba-Junky”, “My Casa in Cuba”, “Bed In Cuba”, and “Cuba Accommodation”.